The Photocaptionist is delighted and honoured to present for the first time in English an excerpt of Diego Mormorio’s fascinating book Writers and Photography: A Marvellous Start 1840-1870, a ground-breaking and compelling story of the early connections between words and images. Speaking of photography and criminal imagery rooted in nineteenth-century America, Argentine writer Jorge Luis Borges (1899-1986) writes, in his A Universal History of Infamy: “The daguerreotypes of Morell usually published in American magazines are not authentic. This lack of genuine representations of so memorable and famous man cannot be accidental. We may suppose that Morell resisted the camera, essentially, so as not to leave behind pointless clues, and, at the same time, to foster the mystery that surrounded him”. The idea of a man whose name is on everyone’s lips, but whose face remains unknown, is striking – especially when that man is an outlaw. As Borges suggests, this might have given the man himself a distinct pleasure, seeing as, after all, he had everything to lose by leaving photographic traces behind him. These would have been useful only to men of the law who were trying to send him to the gallows. Everything, then, would appear absolutely normal here if, at the end of the short story titled ‘The Dread Redeemer Lazarus Morell’, Borges did not have the bandit die of a lung ailment on January 2 1835, in the Natchez hospital. Indeed, this date poses problems. How could daguerreotypes bearing the effigy of the outlaw exist, if the invention of the daguerreotype was made public on August 19, 1839, and only reached the United States a few weeks later? Four and a half years have not been taken into account. 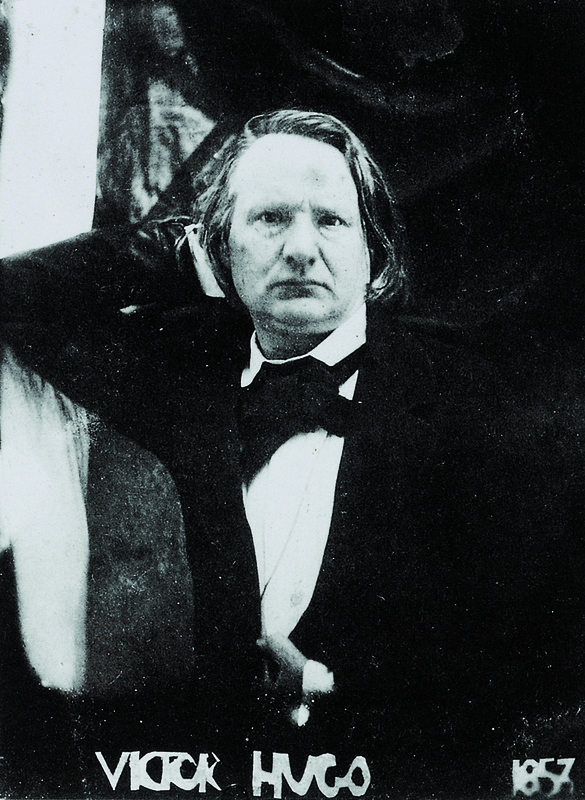 The most reasonable explanation is that, as he was writing the story, Borges could not remember the exact date of birth of the daguerreotype; alternatively, and equally plausibly, we might posit that he intended to write 1845 and, by mistake, ended up backdating Morell’s death by ten years. In actual fact, what might appear to be a lapse of memory or an oversight regarding the exact date of the daguerreotype’s invention or Lazarus Morell’s death ends up being an act of foresight. A lapse that is, in other words, miraculously coherent with the entire oeuvre of a writer who, for several decades, educated his readers to seek the truth in the folds of the implausible, the uncontemplated and the apparently inexact. 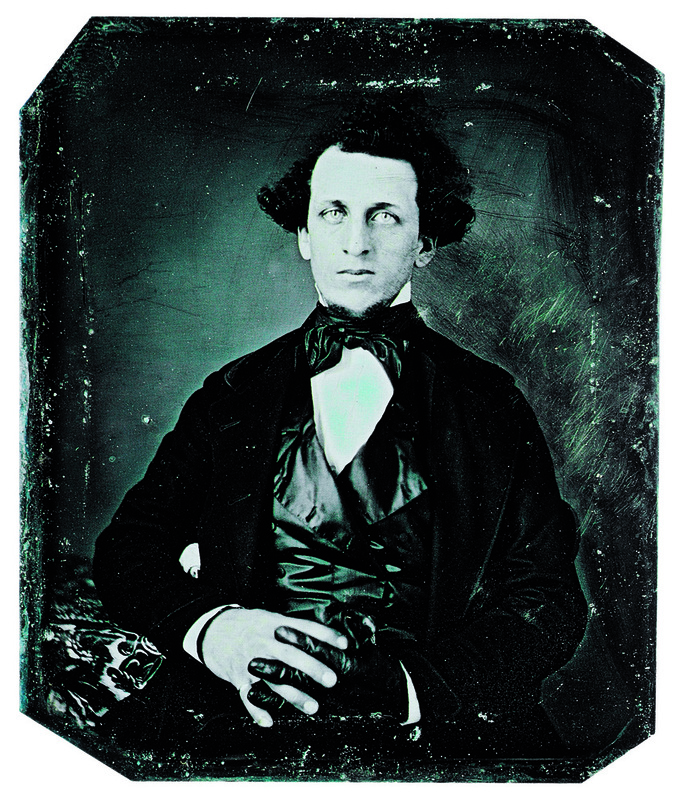 If we consider it normal that Borges uses the term “daguerreotypes” to indicate “photographs”, he may indeed be right: aside from Niépce – who, in 1827, produced photographic results without developing the technique to allow mass use – someone could well have invented photography before 1835 – that is, before Morell’s death – and have remained unknown to us. This theory is, so to speak, a provocation, but, within reason, also entirely plausible. It has been clear for some time now that at the beginning of the 19th century many inventors were close to discovering photography, each unaware of the others’ work and someone considering it, separately, in the order of things. Information on one of these inventors, Antoine Hercules Florence (1804 –1879), surfaced only in 1977. Little is known about him; of others we know much more; and some, for all we know, seem to have come out of the pages of a novel – just as some thought that photography had been pulled straight out of a magician’s hat. However, Borges’s story bears another significant detail: it highlights one of the most consolidated uses of photography. Indeed, from its earliest years, photography was considered a “forensic” instrument by the police and, on occasion, it played an instrumental part in the arrest of photographed subjects – as in the well-known case of 1871, when a group of Paris Commune insurgents, who had escaped the Bloody Week, were identified by a photograph and handed over immediately to the firing squad. 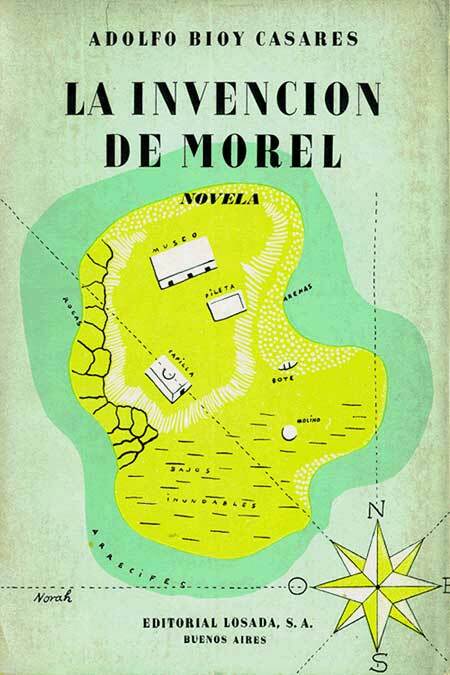 As with all the characters of A Universal History of Infamy, Borges’s Morell hails from 1933-1934, the period in which the future author of The Aleph struck up a deep friendship with Adolfo Bioy Casares (1914-1999). Chronologies that accompany Borges’s work set the date of the first encounter between the two writers in the year 1930, but according to Bioy Casares’s Autocronologia, they meet two years later, in 1932, “in Victoria Ocampo’s house, in San Isidoro”. “You must forgive me for this rather tedious, unpleasant incident. We shall try to forget it! Thoughts of the fine week we have spent here together will make all this seem less important. At first, I decided not to tell you anything. That would have spared you a very natural anxiety. We would have enjoyed ourselves up to the very last instant, and there would have been no objections. But, as all of you are friends, you have a right to know. It would take just such a device to perfect Morel’s dream, leaving the illusionistic nature of photography definitively behind, and making the souls of images that the scientist hypothesised complete. With reasonable probability, such a machine could also ensure that all the people depicted in a box full of photographs are aware of one another, even if they belong to different places and epochs. A terrible, unfeasible dream? It is certainly a dream that can be placed in the domain of the unforeseen that Edgar Allan Poe speaks of, in the earliest years of photography, in his article ‘The Daguerreotype’. Nothing may be excluded. Because technique is imagination embodied, through the process of scientific research – even if, as is often the case, everyday use renders its discoveries banal. But, however vast and generally uncontainable this banality may be, it will never completely win out over the specific beauty of the single invention. Indeed, every invention – even the simplest one – is inseparable from the beautiful, and is a manifestation of beauty, of a kind that celebrates ingenuity and provides us, at the same time, with a means of reaching an elsewhere. Diego Mormorio is a Sicilian writer, historian and critic of photography and literature. Among his many publications the über sold out and sought after 1988 Italian edition of Writers and Photography; History of Photography (1996); The Island of Sicilians (1996); Tazio Secchiaroli: Greatest of the Paparazzi (1999) Clothes: The style of the Italians in a Century of Photographies (1999); The Long Holiday of Baron Gloeden (2002) and Meditation and Photography (2008) just to mention a few.He curated several photography exhibitions, directed Acta International Gallery in Rome and gave lectures in numerous Italian Universities and Arts Colleges. Currently he teaches ‘History of Photography’ at the Accademia di Belle Arti in Rome. Previously he was also a photo editor for the newspapers Il Messaggero and L’Informazione. He was born in Caracas and had the privilege of collaborating with the great Leonardo Sciascia. Diego Mormorio’s Writers and Photography: A Marvellous Start 1840-1870 is the first of a series of 10 volumes dedicated to the relationship between photography and writing. Mormorio is currently working on the second book on the legendary Lewis Carroll that will come out in September. Writers and Photography is published by Postcart and can be purchased here. Sean Mark is a PhD researcher in Comparative Literature. He also works as a translator, plays football and writes poetry. He grew up between London and Milan, and has forever been somewhere between the two, like a Ryanair flight attendant selling scratchcards somewhere over Metz. Jorge Luis Borges, A Universal History of Infamy, translated by Norman Thomas de Giovanni, Penguin Books, London, 1975, pp.22-23. Adolfo Bioy Casares, The Invention of Morel, translated by Ruth L.C. Simms, The New York Review of Books, New York, 2003, p. 7, 11, 66 and 76.